Professor Caroline Wigginton of the University of Mississippi has been selected to receive the 2018 Early American Literature Book Prize, which is awarded in even calendar years to a first monograph published in the prior two years, and in odd years to a second or subsequent book. 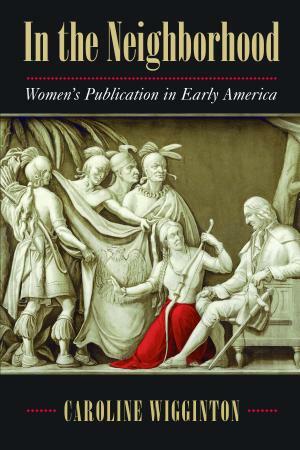 Wigginton’s In the Neighborhood: Women’s Publication in Early America was published by the University of Massachusetts Press in 2016. According to prize committee members, In the Neighborhood “combines media studies with literary analysis to highlight women's expressive networks,” thereby “showing them to be savvy participants in complex, dense scenes of intercultural encounter.” The study’s innovative approach encourages readers to resist the tendency to think of early American women primarily in symbolic terms related to nationhood monolithically conceived. Instead, it delivers on its titular promise to relocate us “in the neighborhood,” a common phrase in early America used to refer to a smaller geographic region comprised of diverse peoples. In the Neighborhood complements Wigginton’s beautiful prose with a well-curated array of illustrations that includes colonial mourning rings, Mohegan covered baskets, and works from a 20th-century Brooklyn Museum exhibit. These images form part of an extensive archive of what Wigginton terms “relational publications,” including printed pamphlets, handwritten letters, public performances, woven wampum belts, diaries, legal documents, verse, commonplace books, and even material objects and public rituals. Quaker meeting houses, Creek talwas, trading posts, and burial grounds all serve to situate her investigation of what she calls “the new American publics created in women’s quotidian intimacies and exchanges.” In addition to materials from the colonial archive, Wigginton documents these exchanges through performative practices that, she argues, evince elements of reciprocity more readily associated with material textuality. As such, the women at the heart of In the Neighborhood engage in complex networks of exchange and interdependency to transform both their local world and our prevailing concept of the early American public sphere. Their practices begin with Creek diplomat and trader Coosaponakeesa’s march on Savannah in the company of a large group led by her Englishman husband in order to press her land rights with colonial administrators in England. They extend to the competing maternal claims of white Rhode Island resident Sarah Osborn and enslaved black woman Phillis over Phillis’s 17-year son, Bobey, whom Osborn had plans to sell. Poet Phillis Wheatley’s lesser-studied elegies for children elucidate the relationship between white mourning rituals and early black authors’ publication practices, facilitating Wheatley’s own self-positioning “in that unbridgeable distance between mourners and the dead.” Finally, Milcah Martha Moore, a Quaker poet whose extraordinary common-place book reveals unprecedented depths in the last chapter of this study, engages in “textual sisterhood” with her female Quaker neighbors in a manner that “authorized and structured political commentary.” In selecting In the Neighborhood from among several worthy contenders, the committee concluded, based on these compelling analyses, that the book in its entirety offers “a provocative and refreshing way to think about early American publication,” a key term in early American studies that Wigginton transforms by placing it in the context of gender and locality. The University of North Carolina Press along with the EAL editorial team (Marion Rust, Sandra Gustafson, and Katy Chiles) and the other members of the committee (Monique Allewaert for the MLA Forum on Early America and Laura Stevens for the Society of Early Americanists) congratulate Caroline Wigginton for her outstanding contribution to early American literary studies. We invite all those in attendance at the 2019 Society of Early Americanists biennial conference to join us in Eugene, Oregon at a Friday evening reception where Professor Wigginton will receive her prize. 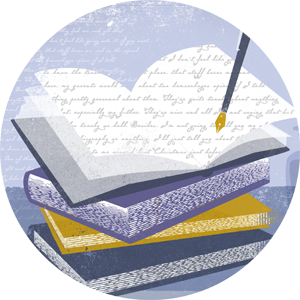 Next year's prize will be awarded to an author's second or subsequent book, with monographs published in 2017 and 2018 being eligible. It is accompanied by a $2,000 cash award. Please see our earlier announcment on this website for more information.